Echo Pro Attachment Series Power Source Combo Pack PAS-225VP lets you purchase the tools you need when you want - it's your choice! It is an economical way to stock your tool shed or trailer. 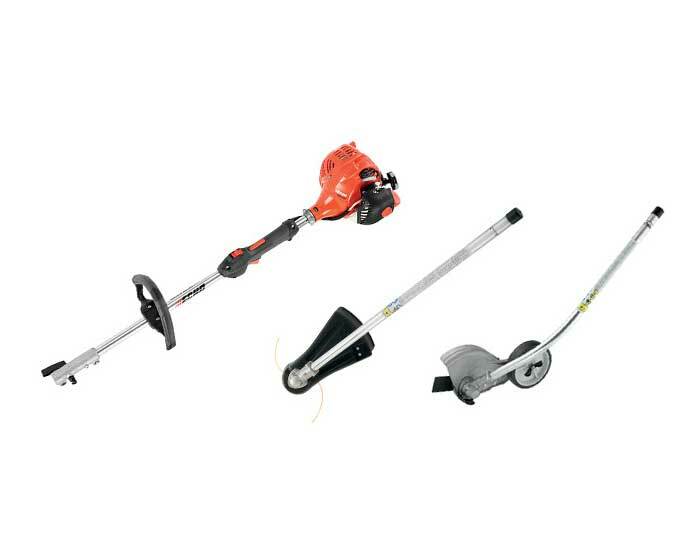 The PAS-225VP Combo Pack already comes with the Speed-Feed 400 trimmer head and edger attachment. The PAS-225VP provides 21.2 cc of power, cushoined left hand grip, quick change coupler, cushioned throttle grip, vibration reducing mounting, and with 17 commercial grade attachments available, it is ready for any job.